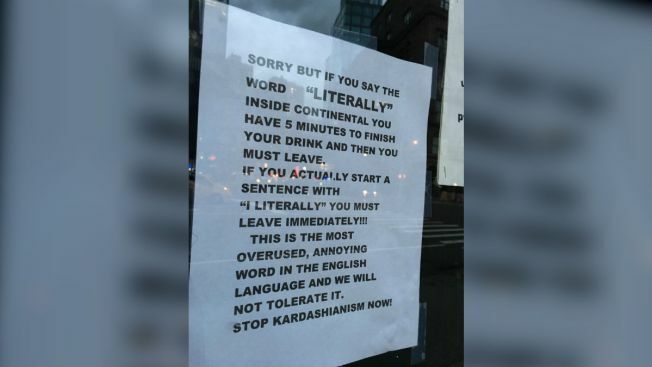 A Twitter user shared this photo of a sign at the NYC bar banning the word "literally." Read it and weep, “Keeping Up with the Kardashians” lovers: the word "literally" is being banned from an East Village bar. The much-maligned word is often used to show that something is serious or that one really meant their prior statement. It's a word that can come up multiple times in a conversation, especially when telling stories to friends. However, the Continental has posted a sign in the front window informing incoming patrons about the new rules. 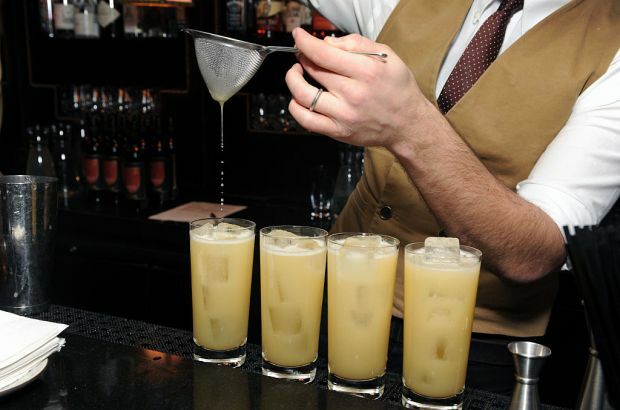 They state that if you use the word "literally" you have five minutes to finish your drink and exit the bar. If you start a sentence by saying “I literally,” you must leave immediately. The owner, Trigger Smith, has clearly had enough of what he calls an “overuse” of the word from the popular TV show "Keeping Up with the Kardashians." In 2017, Smith posted a letter on the Continental website informing customers that the bar would be closing June 30, 2018. The building had been sold by the landlords. However the letter mentioned that if the bar was “very, very busy for the remainder [of the year], it’s possible that we’ll have the funds to relocate." According to Eater.com, the venue was known for hosting rock shows since 2006. But it has also filed for bankruptcy twice and was accused of a racist door policy in 2010.